Valentine Cupcake Wrapper, Heart Valentine's Cupcake, Valentine's Day Party Decor, Printable Valentine Cupcake Wrapper Instant Download. 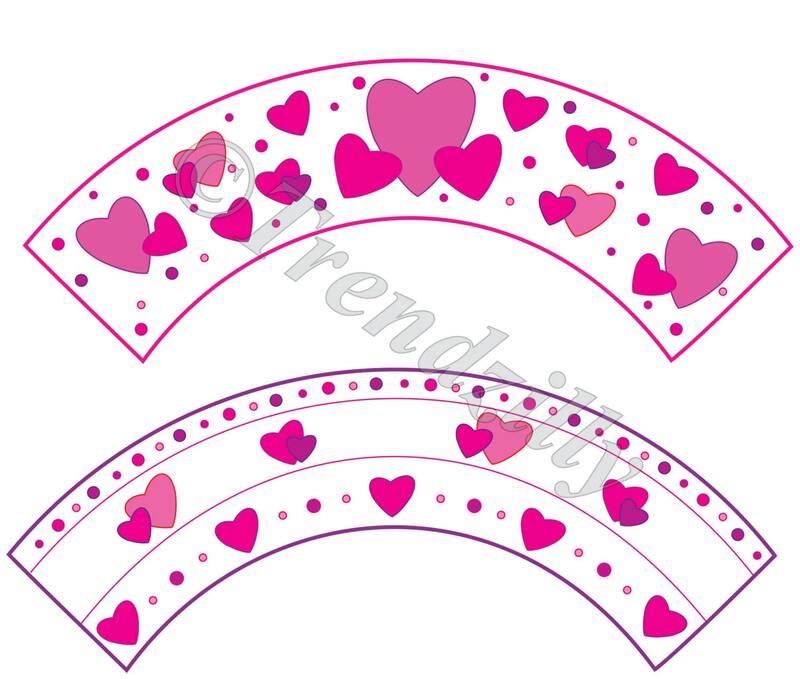 Dress up your cupcakes with these cute cupcake wrappers. 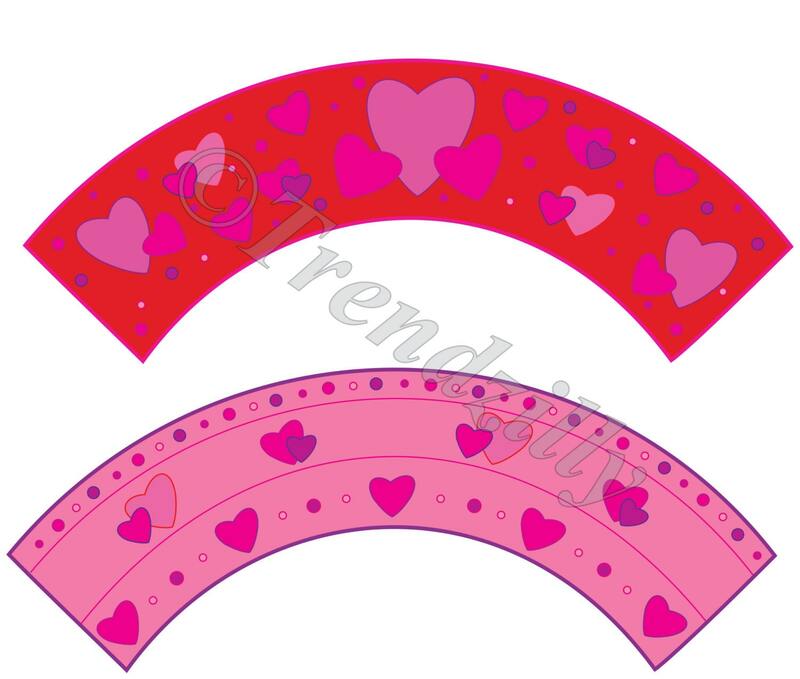 This is a printable download of 4 different valentine's day cupcake wrappers. Cupcake wrappers are made to wrap around a cupcake for a fun decorative look. Suitable for all ages. 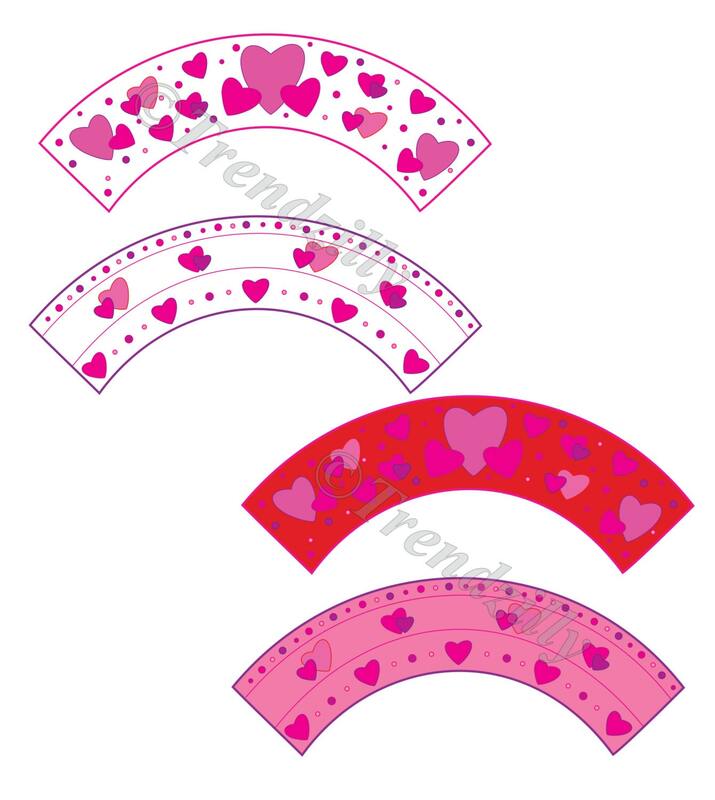 Any cupcake will have a more finished look with these fun wrappers. Please note this is a digital file only, a color printer is needed to print this file.